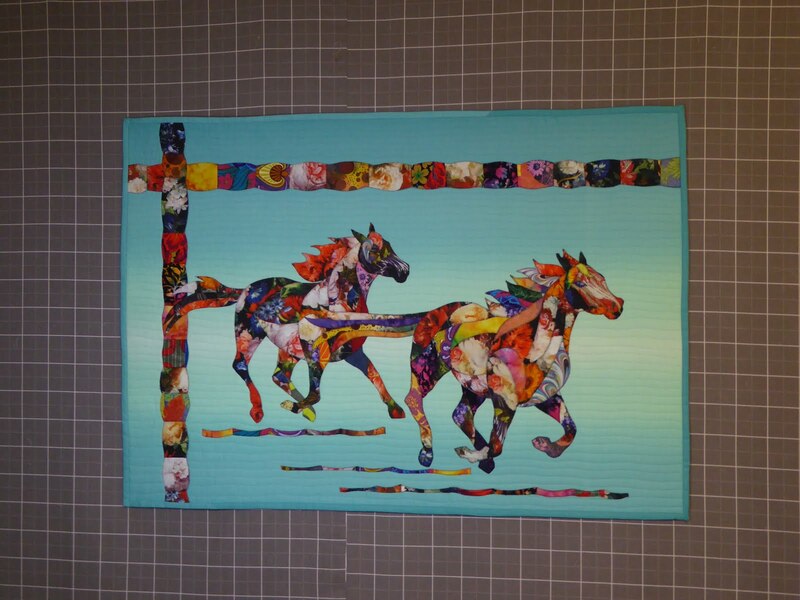 Feeling Simply Quilty: One of my quilting bucket list items can now be check off! 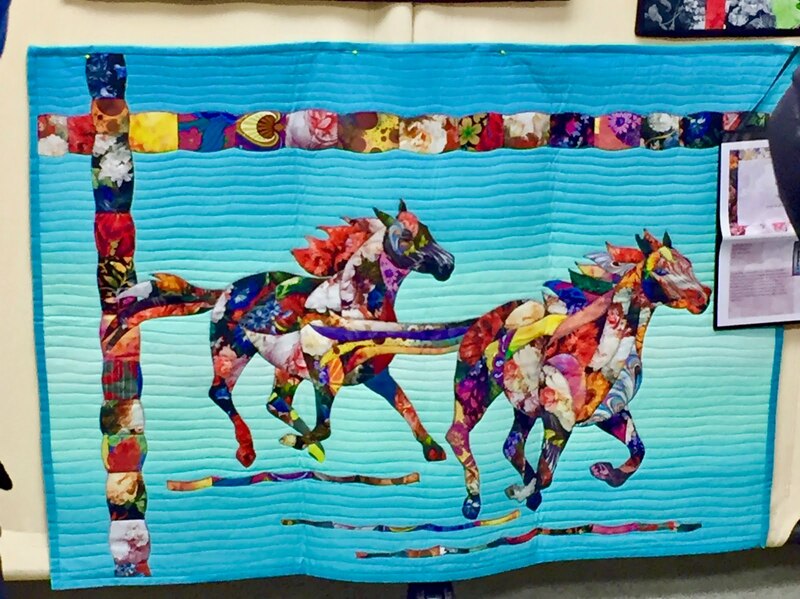 For quilters, dreamers and wanderers or anyone that wants to feel simply quilty...smile. 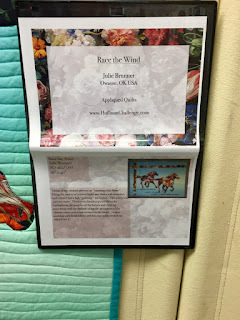 One of my quilting bucket list items can now be check off! We lived in Kentucky for 20 years. Out of those 20 years I probably attended the Paducah Quilt show, at least 10 or more of those years. The first stop was the Bob Cherry Convention Center, where at the back was always on display the Hoffman Challenge. The Hoffman fabric company makes some very nice quilter's cotton. 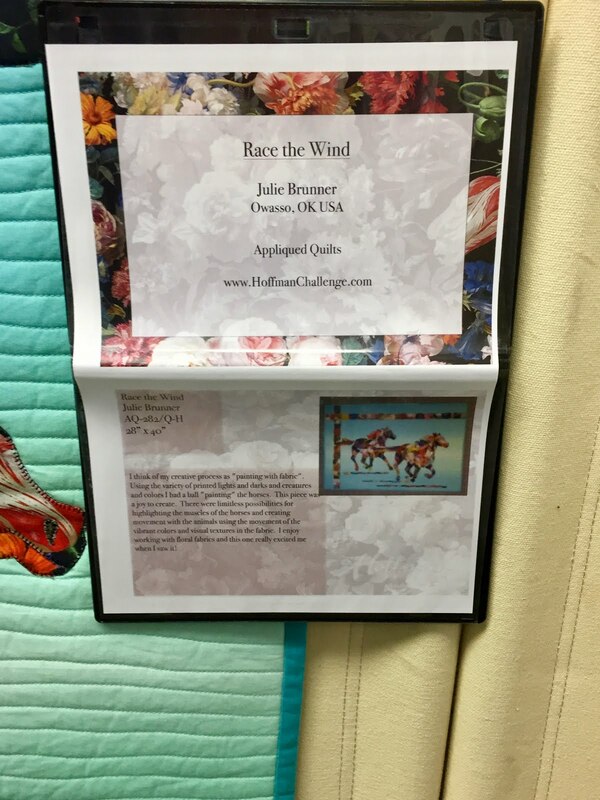 For the last 30 years, the company has been choosing a fabric to challenge people to make quilts using it. This year I entered the competition and was accepted to travel the country. I didn't win anything, the competition was fierce and those that won definitely should have. Even though it was pretty wrinkled I still got a kick seeing it in person. 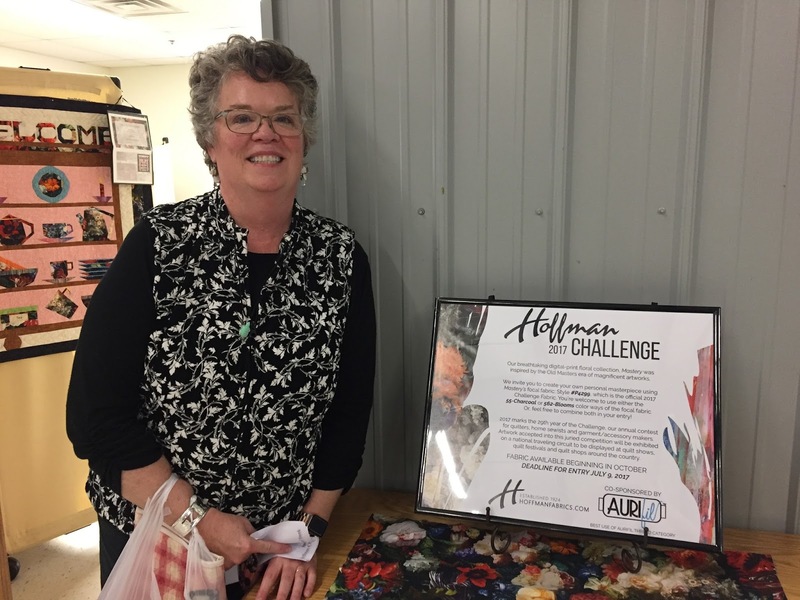 The lovely ladies from the quilt guild that had the foresight to snag one of the trunks of the Hoffman Challenge thought it kind on cool that I drove 2.5 hours to their quilt show to see my quilt. Little did they know...smile. 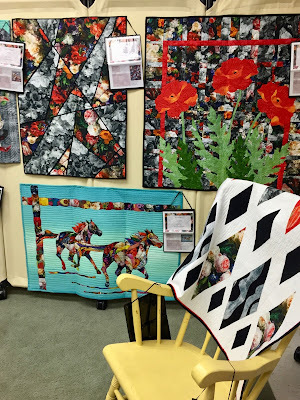 One minor thing is I sure would have hated it if my quilt had been draped over a rocking chair. I guess space was limited, for the mini show within their show in Cassville, Mo. 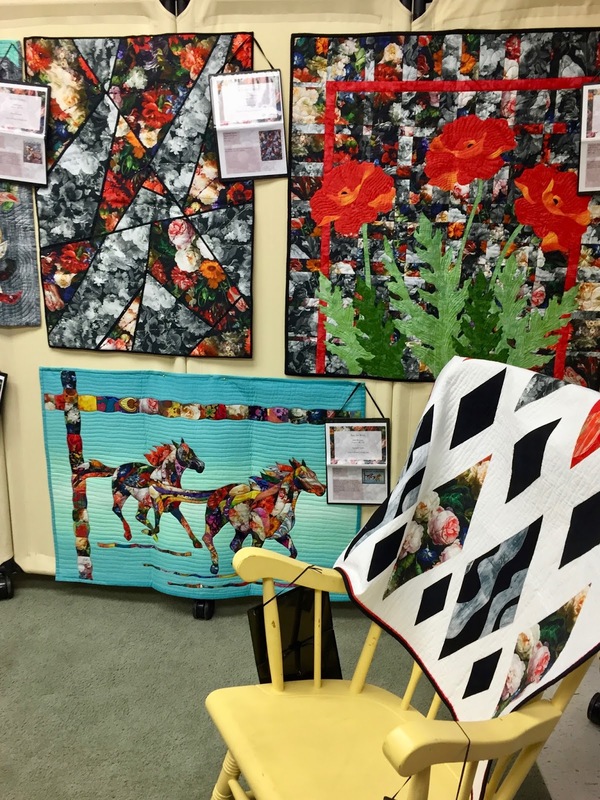 The quilts were judged and displayed by the Ozark Country Quilters.